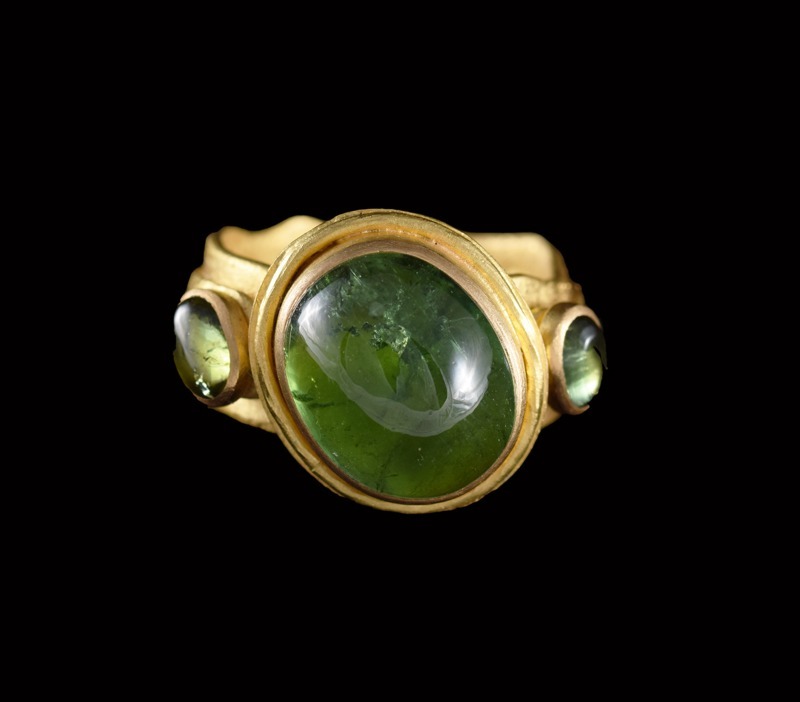 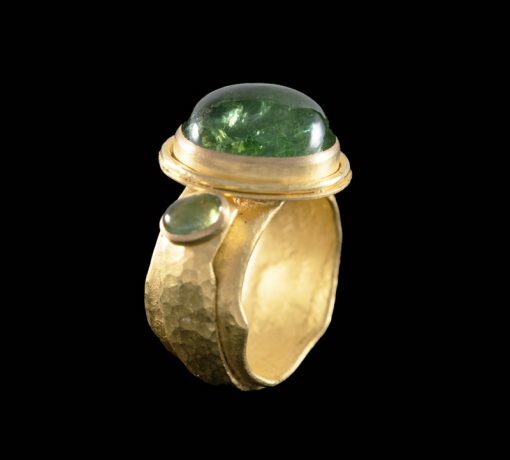 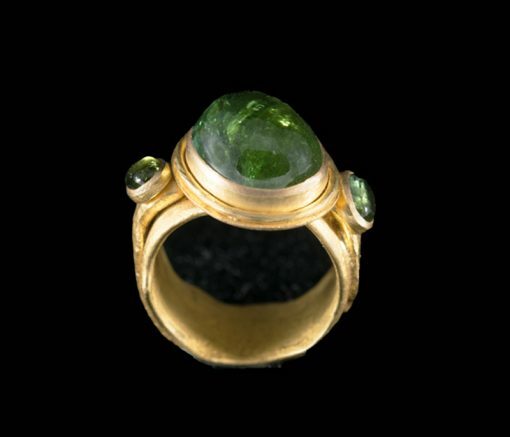 One large, deep grass-green cabochon tourmaline set in 22ct gold, with two small tourmalines on either side. 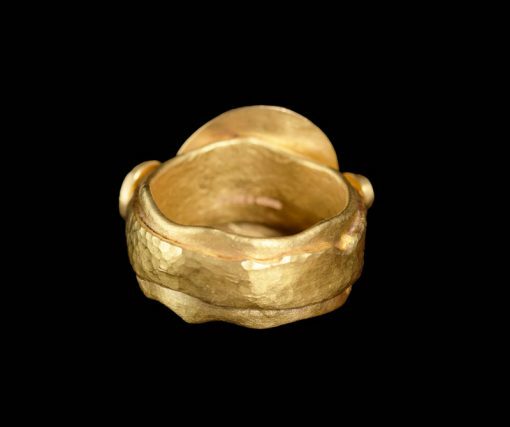 The shank of the ring has been melted and planished for texture and detail, and there is a thin gold wire wrapped round the base of the setting. ring size N.